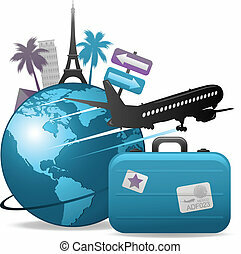 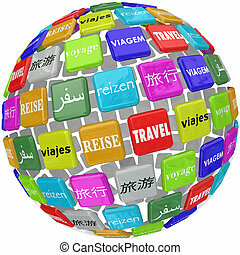 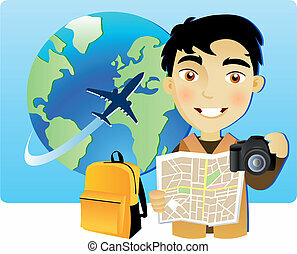 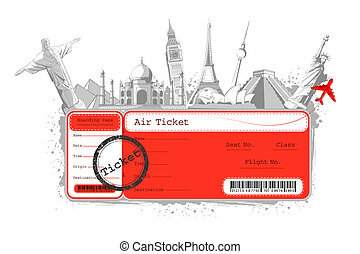 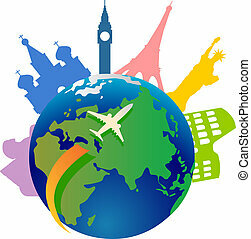 Travel around the world. 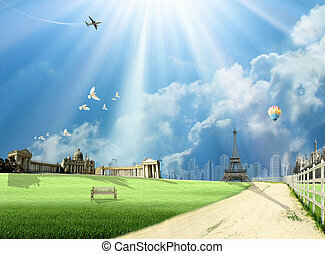 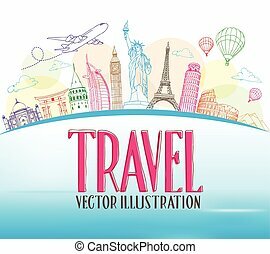 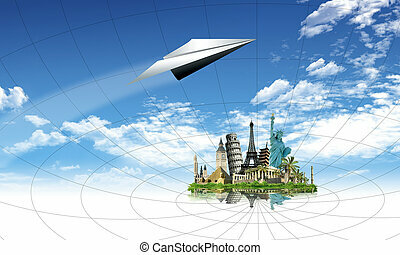 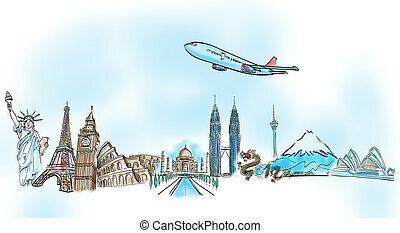 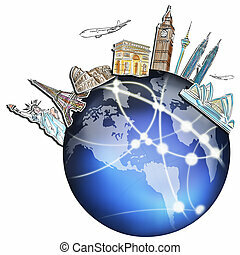 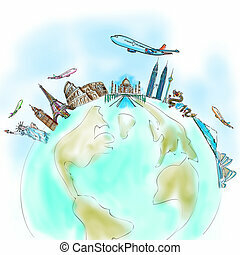 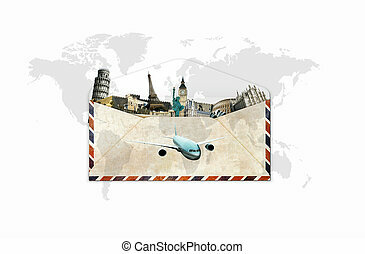 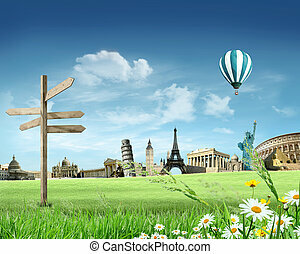 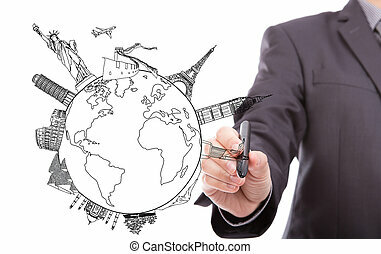 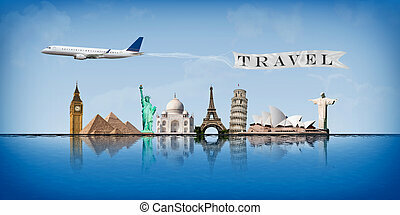 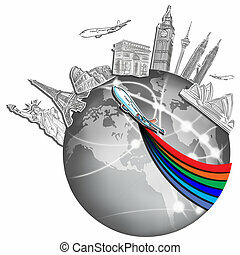 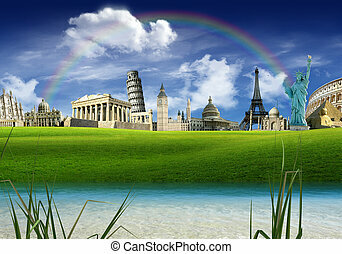 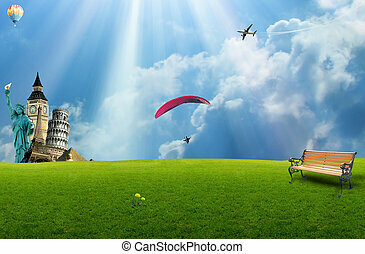 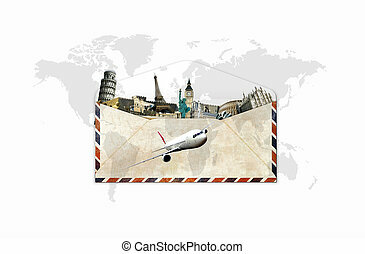 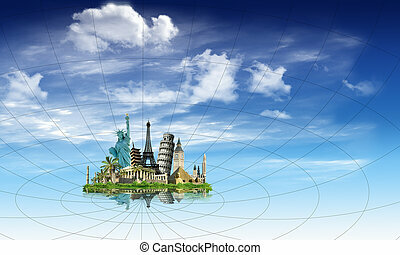 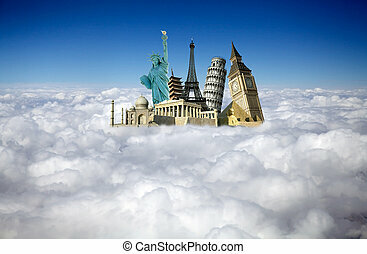 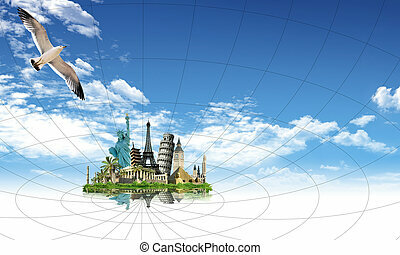 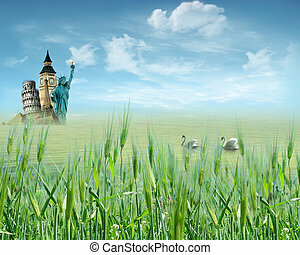 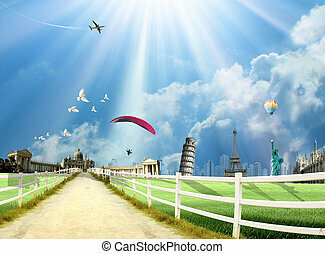 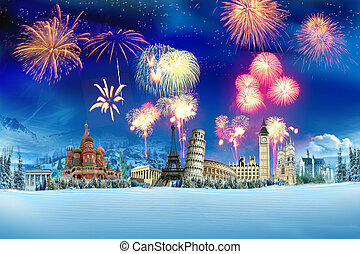 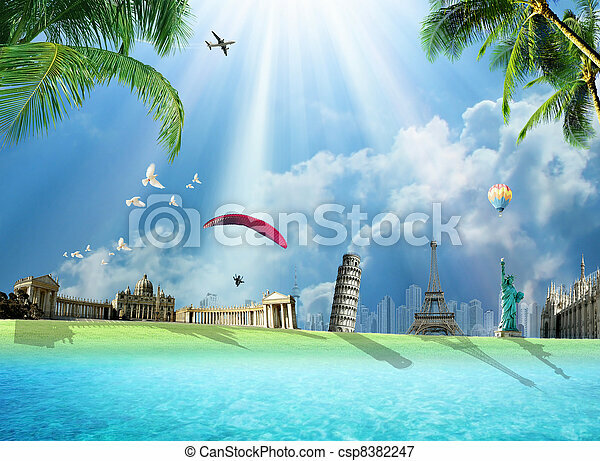 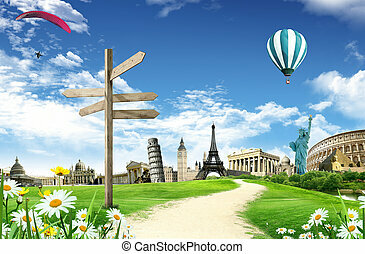 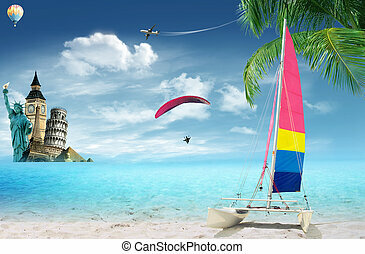 Travel around the world conceptual illustration with international landmarks. 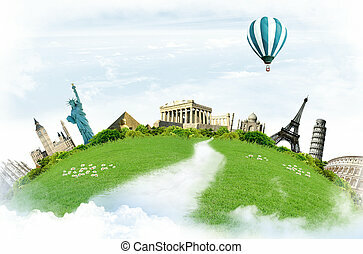 Redhead girl dreaming about traveling around the world.